Resisting and Obstructing a Police Officer Can Occur in Many Different Ways – Both Major and Minor. The Police Officer Determines When It Happens, and It Might Not Be The Case. This is Why it is Important That You Have A Great Attorney Help You. In plain language, resisting and obstructing a police officer means you have allegedly done something to make the police officer’s job more difficult to do. It can range from arguing with the officer to fighting with the officer to running from the officer. The police officer, being at the scene, is the judge of whether or not he/she was resisted or obstructed in doing his/her duties. The resisting and obstructing a police officer statute was challenged in the recent case of People v Jay Bradley Morris. Mr. Morris challenged the constitutionality of the resisting and obstructing statute as being overbroad and vague. 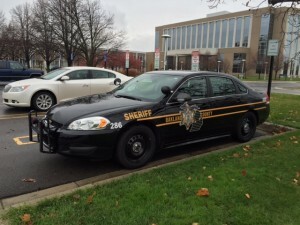 the Michigan Court of Appeals found that the terms of the statute are clear and unambiguous and that the Legislature intended that the statute encompass all duties performed by a police officer as long as the officer is acting in performance with those duties. The court determined that a person of ordinary intelligence would know that an individual using some form of force to present a police office from performing an official and lawful duty would be in violation of the statute. This means that statute can be broadly interpreted by a police officer to bring charges against a person. It is important that you have an attorney that will force the narrowing of the police officer’s duties to what they really are and not allow the police to erroneously charge a person for an offense that was not committed. Unfortunately, the vagueness of the statute allows for officers to charge this offense to protect themselves from an allegation of illegal arrest or in cases where they just want to give someone a hard time. Lewis & Dickstein, P.L.L.C. is the criminal law firm to protect you against all criminal offenses, including resisting and obstructing a police office. The law against resisting and obstructing a police office is designed to try and make a police officer’s job easier and safer. That is reasonable; however, there are police officers that take advantage of the protection that law offers them. It is not unusual for a police officer to charge a mentally ill person for resisting even if that person did not even realize what he/she is doing. Abuse of criminal charges is not fair and contrary to the law. This is why you must have the best legal help available to make sure that you are not being improperly charged OR if charges are brought against you, that they are defended aggressively so that you have the best chance to win. The law firm of LEWIS & DICKSTEIN, P.L.L.C. exclusively practice and focus on the defense of felony and misdemeanor charges in state, local and federal courts. That is why our team of defense lawyers has an unparalleled track record of success. The firm’s attorneys have decades of experience in representing people charged with criminal offenses. 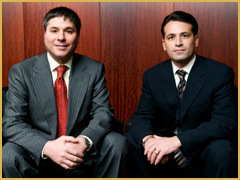 The firm’s attorneys are also award winning and well respected by their peers, judges and prosecutors. If you have facing criminal charges your best hope is to call LEWIS & DICKSTEIN, P.L.L.C. at (248) 263-6800 or complete a Request for Assistance Form and one of our premier attorneys will contact you.